Knicks star forward Kristaps Porzingis, who hasn’t played a minute since ACL surgery nine months ago, took control of the narrative surrounding his progress Thursday. Just hours after head coach David Fizdale said the 7-foot Latvian had made no “high jumps” in his rehab and wasn’t yet sprinting, Porzingis, 23, posted two pictures to his Instagram story that show him sprinting on an outdoor track. Fizdale said Thursday he hasn’t given much thought to when (or if) Porzingis will return to the Knicks, who are 4-8 this season. "I'm looking at these guys [who are available to play] right now. I'm not even planning on KP at all," Fizdale said (via the New York Daily News). "I don't want to get distracted personally as the coach, worried about if and when he's coming back. I'd rather be focused on the day-to-day task with these guys, and when he gets back that'll just be a gift for me." 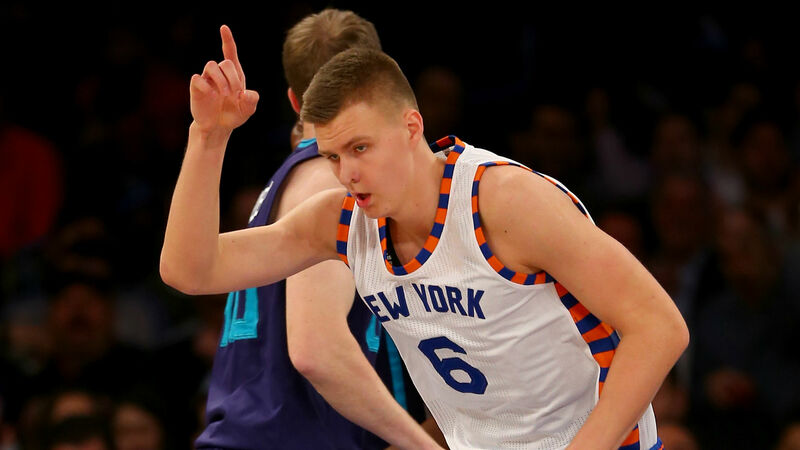 In 48 games before his knee injury last season, Porzingis averaged 22.7 points and 6.6 rebounds per game.